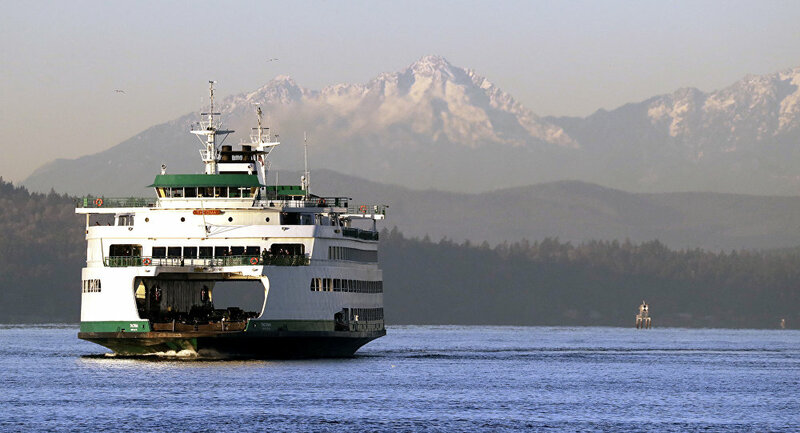 Ferguson told the Seattle Times that his office decided to join the lawsuit after reviewing a report in October 2018 that revealed what toxic chemicals were in the materials that had been scraped off the Independence in January 2017. Ferguson's letter indicates that "approximately fifty dump truck loads of solid waste" were dumped into the waters. Those chemicals included zinc, copper, cadmium, arsenic, chromium, various other metals and polychlorinated biphenyls. "As a result, the [Environmental Protection Agency] listed the Puget Sound Naval Shipyard Complex as a Superfund site under the Comprehensive Environmental Response Compensation and Liability Act, and the federal government has spent millions of dollars remediating the sediments at the site," the AG's notice explains. It should be noted that Washington State houses the US Navy's Puget Sound Naval Shipyard, which is just one of three Naval Inactive Ship Maintenance Facilities in the US that work with decommissioned vessels. According to Ferguson's letter, Navy officials took no precautions to contain the waste, discharging it directly into the Sinclair Inlet, despite having been urged by the EPA to use a dry dock to perform the cleaning. As such, the letter says, the Navy is in direct violation of the Clean Water Act and the Washington State Water Pollution Control Act and is creating an "imminent and substantial endangerment to the environment under the Resource Conservation and Recovery Act (RCRA)." "We ask that the Navy remedy its ongoing violations of the [Clean Water Act] and Washington law, and abate the imminent and substantial endangerment under RCRA, at the Puget Sound Naval Shipyard by removing from Sinclair Inlet the debris from the ex-Independence and taking any other action necessary to stop and remediate the ongoing discharge of pollutants and related environmental harm caused by the Navy's in-water hull cleaning activities," the letter states, noting that should naval officials fail to meet Ferguson's demands within the next 60 days, his office will have no other option than to join the Puget Soundkeeper Alliance, et al. v. US Navy, et al. case. Ferguson, who established the state's Counsel for Environmental Protection in 2016, told the Seattle Times earlier this week that "there's more trouble ahead," as another ship, the supercarrier USS Kitty Hawk, is expected to undergo a similar cleaning process at the Puget Sound facility. 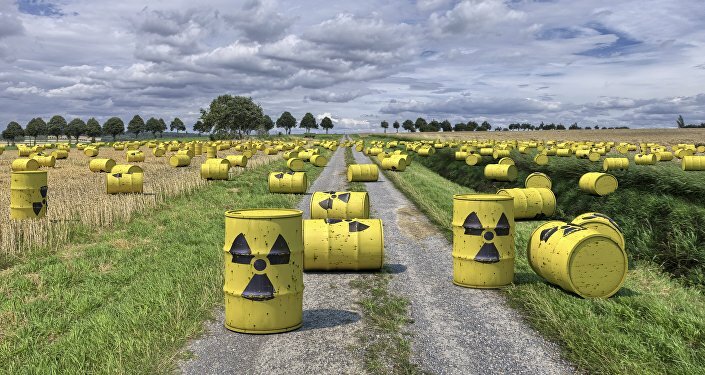 But this isn't the only example of the US military playing fast and loose with environmental regulations, Kevin Kamps, Beyond Nuclear's radioactive waste specialist, told Sputnik Friday. "There are countless examples of the US military unleashing environmental destruction," he said, giving as an example the housing development built on radioactive, contaminated soil in California's old Hunters Point Naval Shipyard. "The US Navy caused the radioactive contamination," Kamps said. "Then a contractor hired during the supposed clean up, Tetra Tech, falsified testing samples, claiming the soils were cleaned up, when they were not." "This toxic history includes illegal and unethical dumping as has happened repeatedly in Puget Sound. Similarly, the US military dumped vast amounts of munitions, toxins and perhaps even radioactive waste into Lake Superior, after World War II," he continued. Other examples of the US' environmental destruction include the Nevada Test Site, depleted uranium test firings in Vieques, Puerto Rico, and Jefferson Proving Ground in Ohio, where Kamps says government activities have resulted in "billions of dollars of clean up costs that may never be carried out." "Along the lines of the Washington State attorney general's shock, such practices, incredibly, are not a thing of the past — they are still going on. They must stop, or tremendous damage to public health, safety and the environment will continue into the future, instead of being a tragic thing of the past." And it's not just chemical dumping from the Navy's facilities. A 2016 study carried out by NOAA Fisheries' Northwest Fisheries Science Center and the University of Washington found traces of soaps, industrial chemicals, the antidepressant Prozac and metformin, a diabetic medication, in the Puget Sound. Upon examining fish native to the Puget Sound, researchers found traces of such compounds within their tissue.